Universal Studios Orlando is a great theme park, I've visited on 6 occasions over the last few years, my last trip being only last week. 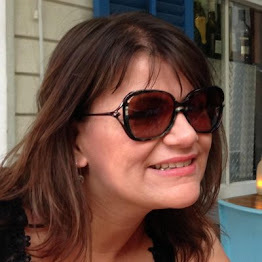 Here is my guide on what to see, what to do, where to stay and those little insiders tips on how to get the most out of your visit especially if you are travelling with adults. Firstly download the Universal App, this will give you wait times while you are in the park, show you the shows, and give your dining options. Wi-fi is free in the park for Universal guests. To get the most out of your trip get to the park early, before park opening. This will give you the chance to get a printed map(they have them right inside the entrance), plan where you are going and be ready to hot foot it over to the most popular rides first. The map shows you the plan of both parks - Universal Studios and Islands of Adventure, the times of the live shows, and the character meet and greets. If you want to print a map before you arrive download the latest map here. Insider tip - they often open the gates 15 minutes early. If you are staying at a Universal hotel you can get into the Universal parks an hour early before general admission, and some of these hotels have free express passes too, so it can certainly be worth booking one, especially in high season. We have stayed at a few of the Universal hotels. The Hard Rock hotel is great as it has a lovely pool area with underwater music and is the closest to Universal Studios. The downside is it's pricey. 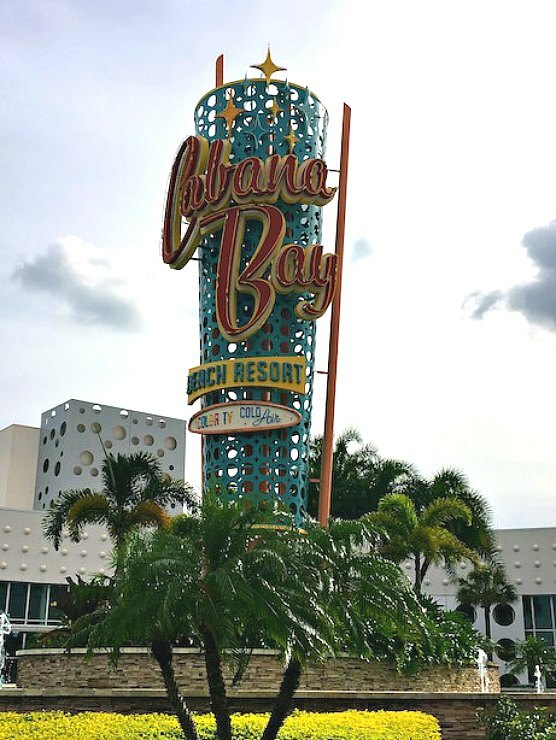 Cabana Bay is a fabulous retro-themed hotel which is much cheaper but further away yet has regular bus services to City Walk and is a very short walk to Volcano Bay. Cabana Bay has no express passes whilst Hard Rock Hotel does. 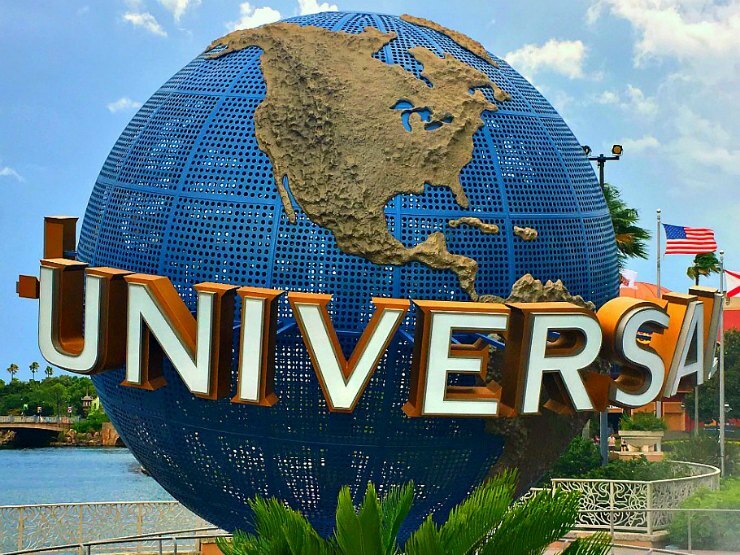 Check out this guide to the various Universal Studios hotels and the benefits of staying at each. Some Universal hotels give you express passes and this is a great perk. If you stay one night you can get express passes for the day you arrive AND the day you leave. 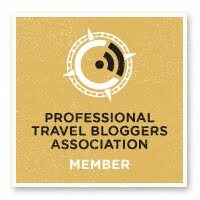 The hotels that currently offer this are Lowes Portofino Bay, The Hard Rock Hotel and Lowes Royal Pacific hotel. If you are staying in the high season especially such as Christmas, Easter, the 4th July, late July and August consider staying at one of these hotels - it could save you a lot of time in the park. 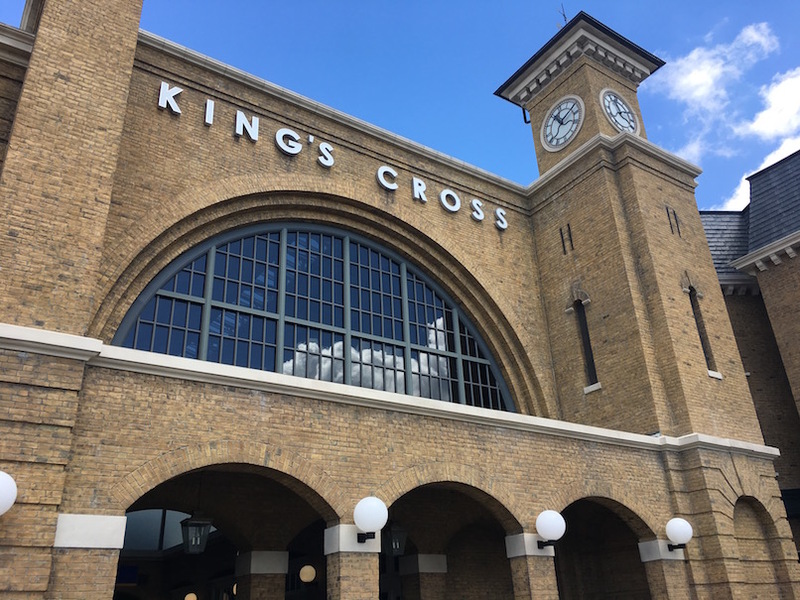 A small number of rides do not take express passes, mainly Harry Potter and Escape from Gringotts, the Hogwarts Express and Kang and Kodos Twirl and Hurl. You can buy express passes if you don't have them included in your hotel stay and this could be an option in high season to skip the lines. There are different types of express passes and the prices vary at different times of the year so be sure to research this and weigh up if its worth it before you go. If you have early entry to the parks by staying in a Universal hotel then you will get into the park an hour or so earlier. Not all the rides are open and it's mainly the Wizarding World Of Harry Potter (WWOHP) which is. Now the WWOHP spans both Universal Studios and Islands of Adventure, and if you are a Harry Potter fan some will spend almost all day at the Wizarding World of Harry Potter. However as we are going to focus on the big rides here, I would say get to Escape To Gringotts first before tackling the other main rides in the park. You can always come back and explore the WWOHP later. The next ride whether you have early entry or not should be the Despicable Me Minions ride. This ride opens around or just before the official park opening which is usually 9 AM. As it's at the front of the park, family friendly and slow loading, the queues can be long. If you get there late and have an Express Pass use it now. Escape To Gringotts is a 3D motion ride which is great fun. You must be 42 inches to ride and you must stow loose articles in the free lockers available. You have two options to ride here - normal queue and single rider. The normal queue is fun as you go through the Gringotts bank and pre-show. The dragon above the ride breathes fire on a regular basis so be sure to watch out for that! Insider tip - if you just want to ride as soon as possible do the single rider queue. If travelling with other people they only split you up at the end. Then spend time looking around Diagon Alley and the WHHOHP. If you are keen to do the big rides first though you can always come back later. There is so much to do here and explore. 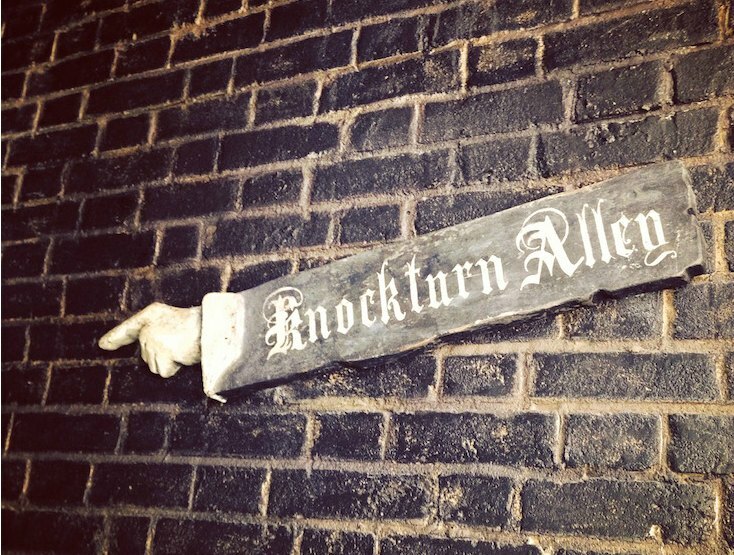 Knockturn Alley is worth seeking out, it's a bit creepy but fun, a dark back lane which is air-conditioned to give a respite from the heat. Seek out the shop of the dark arts. 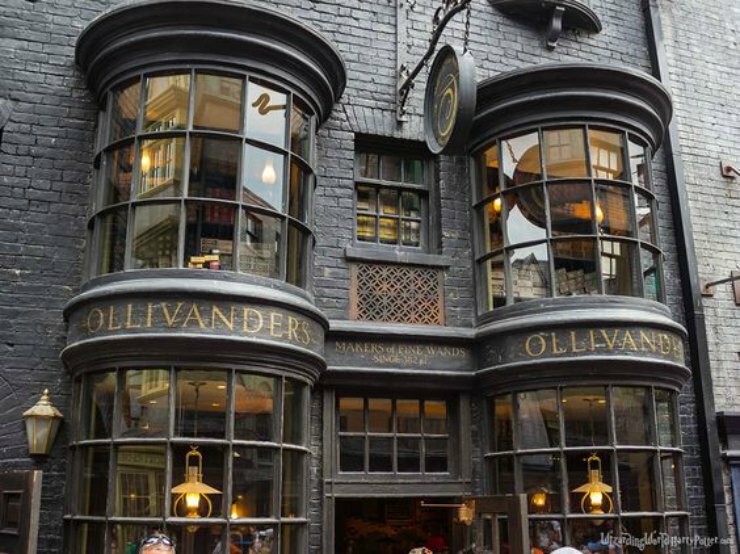 Harry Potter fans will love Ollivander's wand shop where the wand chooses its owner! 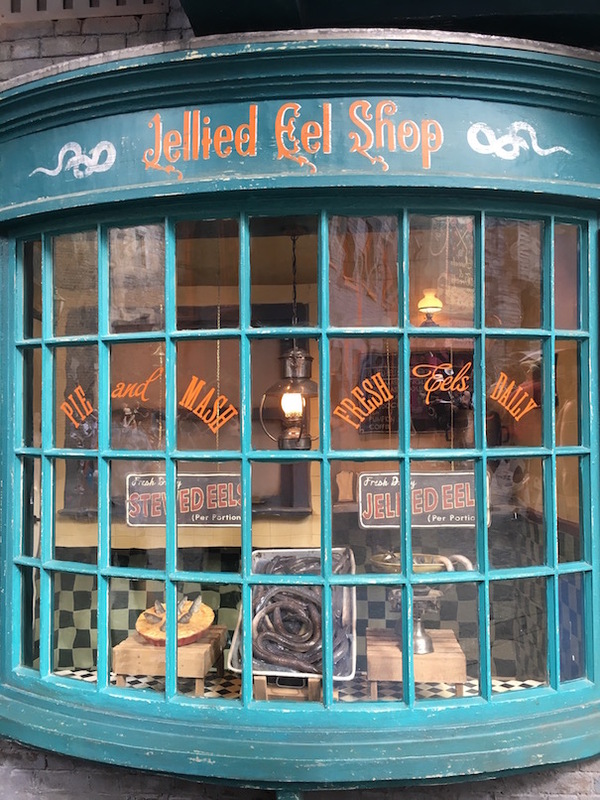 Once you have bought a wand you can use it throughout the land to make things happen in stores and other secret locations throughout the Wizarding World Of Harry Potter. 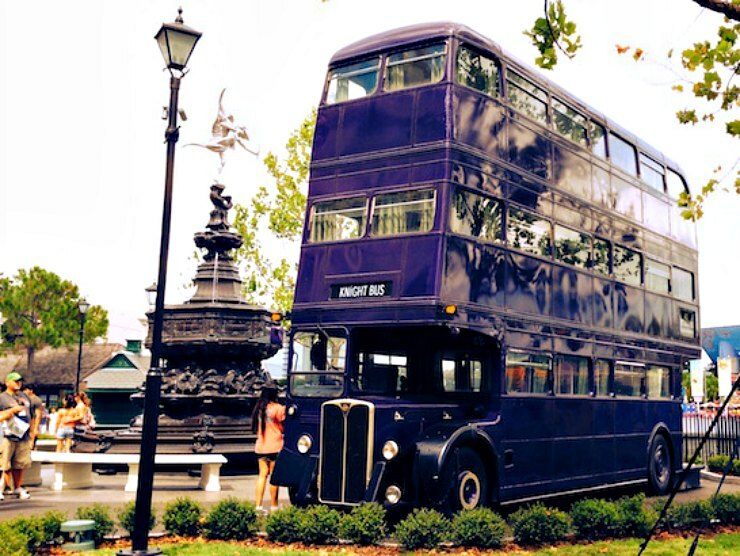 Just outside the entrance to the WWOHP is the Knight Bus with the shrunken head that talks so keep a watch out for it. 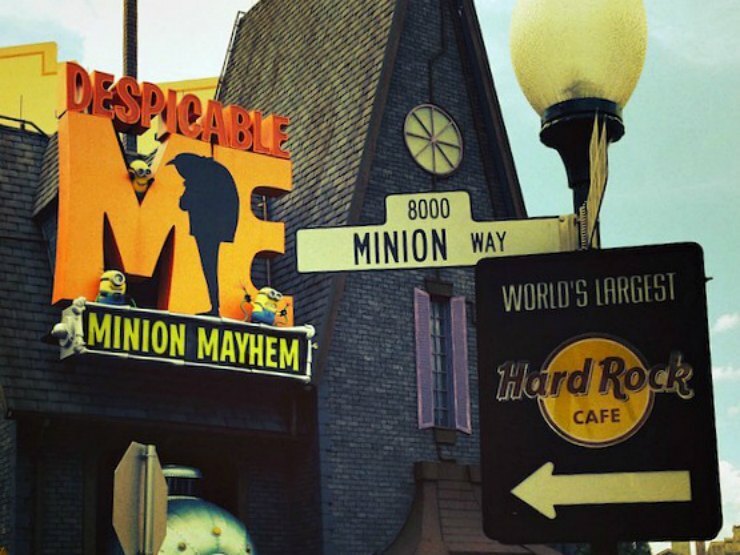 The Despicable Me Minion Mayhem ride is a motion simulator, you sit down and the seats move. If you are prone to motion sickness even though the ride doesn't move much it could still affect you. It's a fun ride for all the family. Insider tip - If you are prone to motion sickness take a travel tablet prior to going on the rides. If you forget to bring them from the UK, Dramamine is widely available in the US. 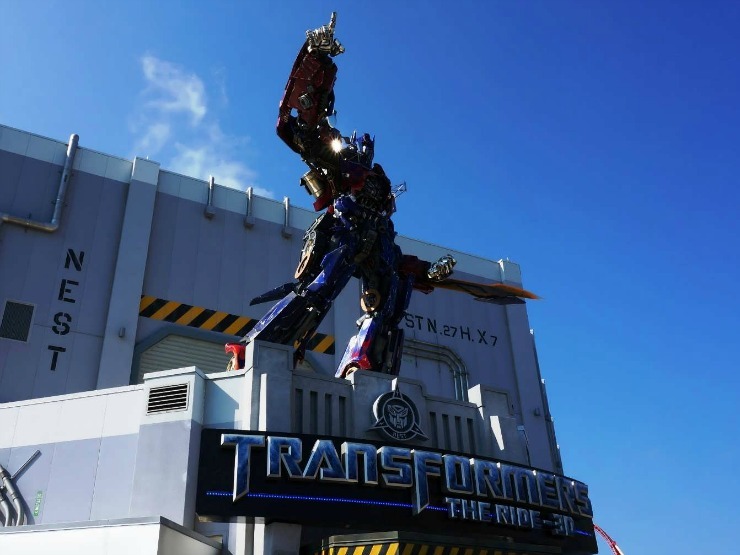 Transformers The Ride is the next ride I would do. This 3D motion simulator with a height restriction of 40 inches, is a must do. The ride particularly appeals to Transformers fans (often boys). It's loud, brash and great fun. If the queue is long, use your express pass or do single rider. We have done single rider on this ride and again you are together until the very end where you will be split up to ride. This cut down the queue from 50 minutes to 5 minutes when we were there recently in June! 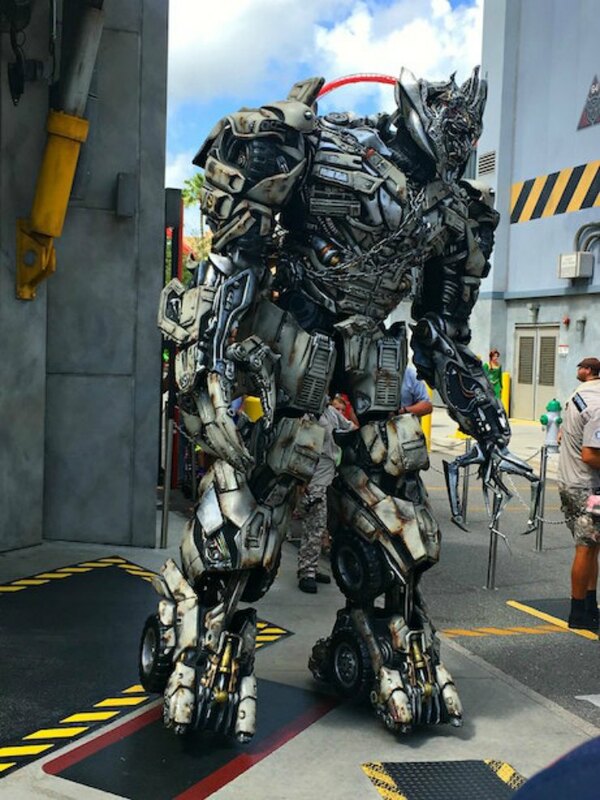 Here you get the chance to meet a transformer, such as Optimus Prime, Bumblebee or Megatron with some great character interaction. Check the times on your park guide. 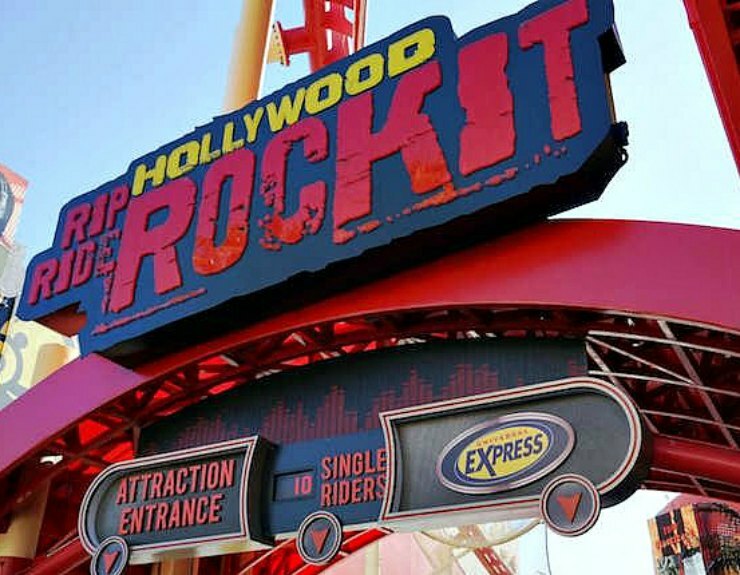 Hollywood Rip Ride Rocket is a rollercoaster with a big initial drop. For those that are brave do this now. It has a single rider queue and express passes are accepted. Single rider queue here goes slow so bear that in mind. The height restriction is 51 inches to ride. Everything and I mean everything, must be stored in the free lockers available. Mr W lost his sunglasses on this ride last year! One of the fun things is that you get to choose your music for the ride from a selection. Insider Tip: They also have secret music available which not many people know about. 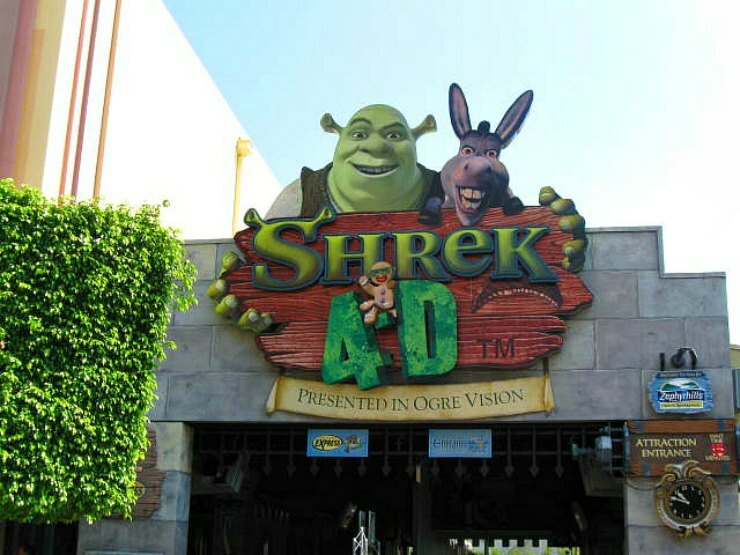 Shrek 4D is a great family friendly ride but can be skipped if there are huge queues which can be often. Express passes can be used. The one in Universal Studios Hollywood is being replaced with a Kung Fu Panda ride so this may be the fate of the ride in Florida, so if you like Shrek catch it while you can. This headliner ride is a must do. A rollercoaster that's a bit creepy, it's indoors and has some fun special effects. If you are claustrophobic, or afraid of the dark you may not feel comfortable on this ride. The height restriction is 48 inches and you can also use express pass here. Free lockers must be used to store possessions before you ride. 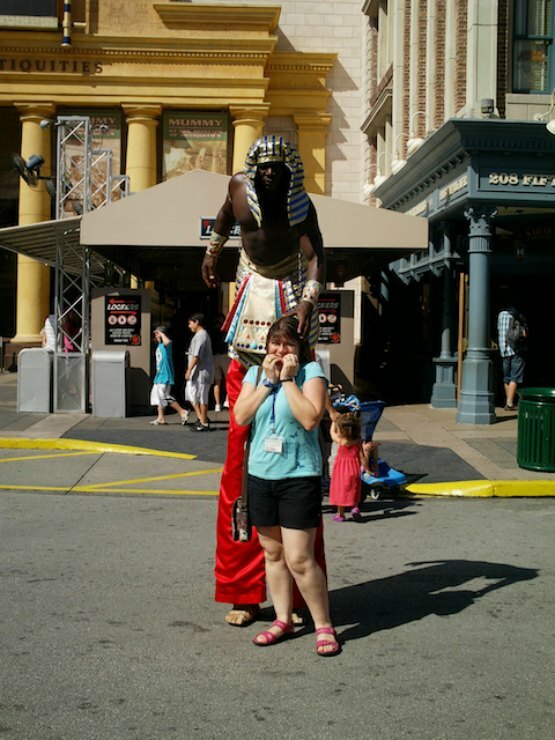 Insider Tip - Last year we saw a character from The Mummy on stilts outside! 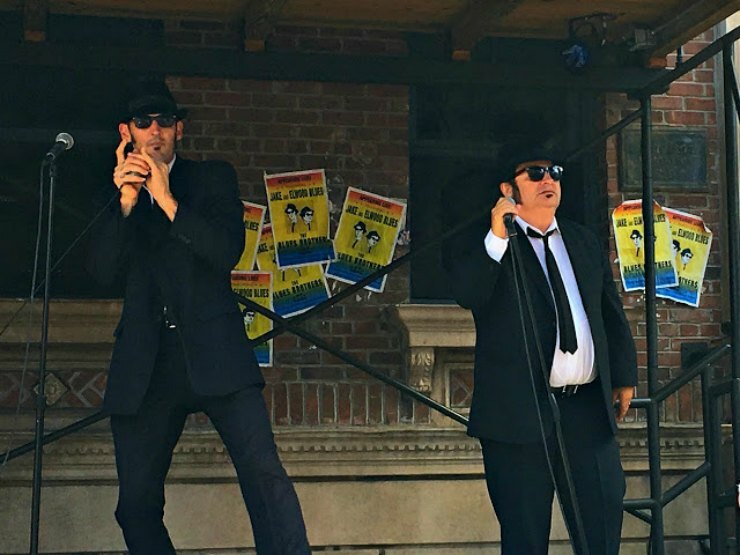 The Blue Brothers show is on the street close to The Mummy ride. It's fun to watch for a while but can be missed if you want to. The Men In Black is a shoot em up ride which is fun for all the family. You can do single rider here but if you are with a group I wouldn't do this as part of the fun is seeing how well you can do together to beat an opposing car. Free lockers are available for all your belongings. Insider Tip: Keep your finger down on the red button when you hear the character Zed say 'press the red button' to give your team a bonus. The Simpsons ride is a fun motion simulator ride. This is one ride that can make you feel ill if you are sensitive to motion sickness so be aware. 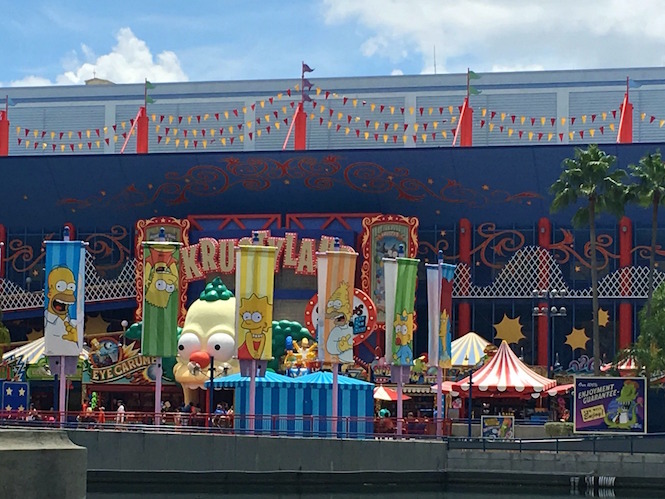 Full of in-jokes, Simpsons fans will love this ride. The queue is generally not that long but if it is, use an express pass if you have one. The height restriction is 40 inches. Unfortunately, since the end of 2017 this has now closed. 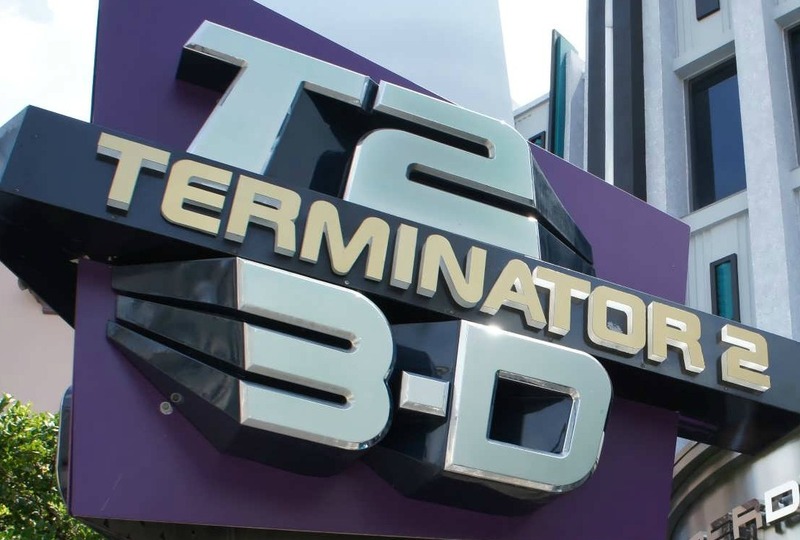 This indoor show based on the Terminator movies has 3D science fiction effects and is great for fans of the films and sci-fi lovers everywhere. One show my son loves, it is showing it's age a little. We are big fans of the horror make-up show. This comedy horror experience goes behind the scenes of horror movies such as American Werewolf in London, and The Mummy. The show is kept up-to-date so most years there is something new to see. This year they spent time talking about the new Mummy movie. Although it is light-hearted if you are of a nervous disposition this show isn't for you as clips of horror films from the 1930s to the modern age are shown. Although the E.T. ride is aimed at little ones, I think all adults need to do it at least once. It's also air conditioned so gives you some relief from the heat. A neat trick is they ask your name as you go in and at the end of the ride, E.T. says goodbye to you by name. 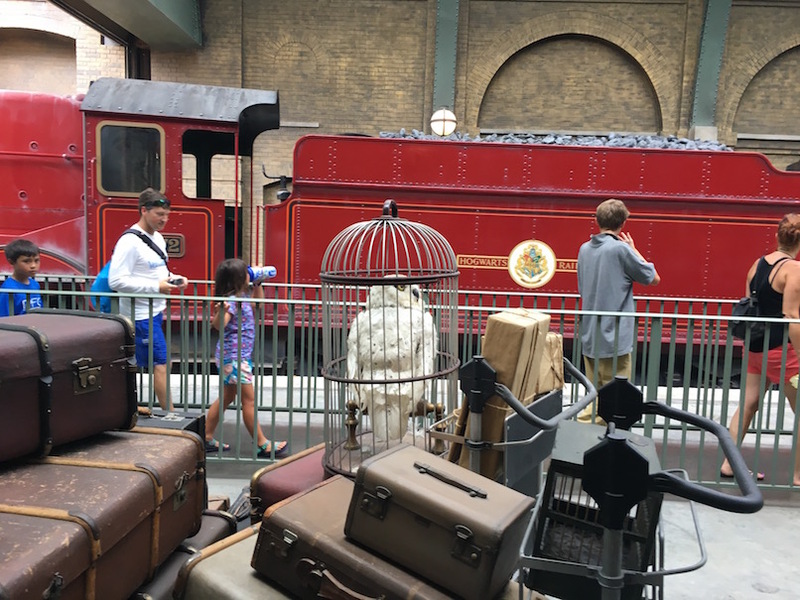 If you have park-to-park tickets that include Islands Of Adventure, a fun way to leave Universal Studios is to go on the Hogwarts Express. You can also ride it the other way around. 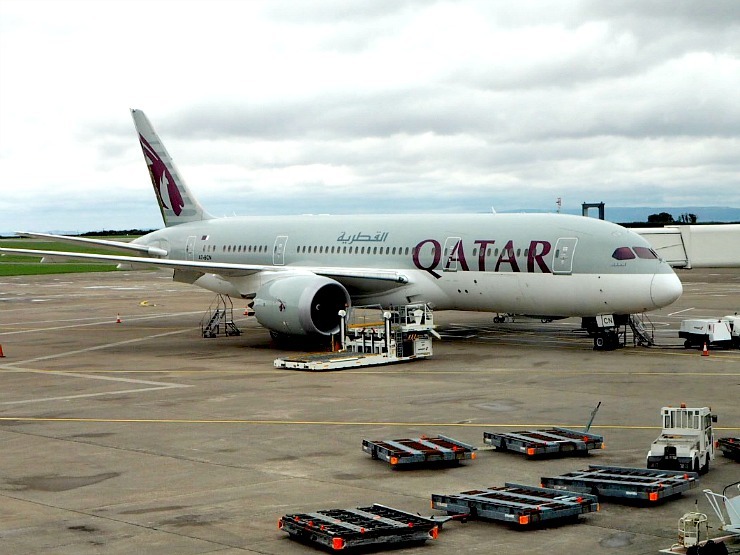 On board, the passengers will see some of the English countryside and the characters featured in the film. Unfortunately, if you only have a ticket to Universal Studios you cannot ride. You need park-to-park tickets. There are a number of places to eat in the park, and one of the best is The Three Broomsticks in Hogsmeade, a Harry Potter themed restaurant serving breakfast and lunch. Finnegans is also another decent restaurant with an Irish theme near The Mummy ride. 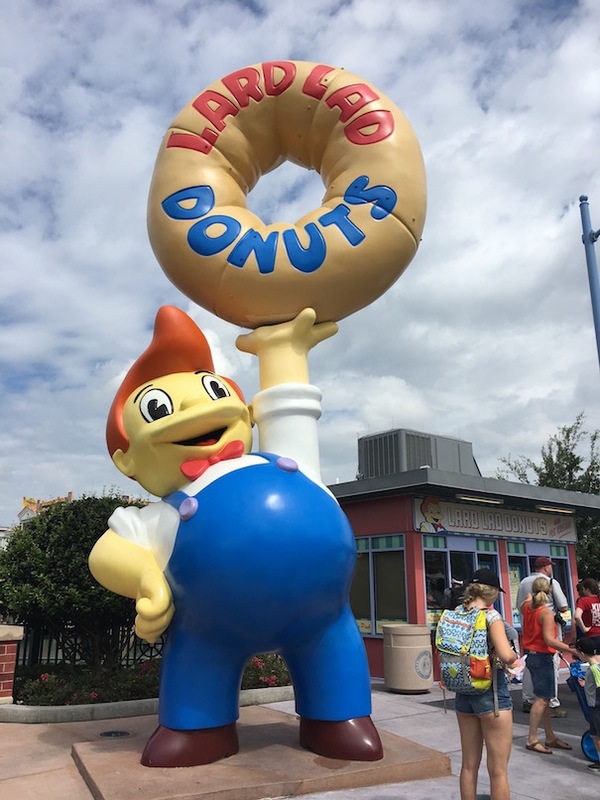 Often we prefer to leave the park and eat in Citywalk, an area with shops and restaurants just outside of Universal Studios and Islands of Adventure. The Hard Rock Cafe, The Toothsome Chocolate Emporium and Bubba Gump's Shrimp Shack are favourites of ours in Citywalk. Check out the Williams of Hollywood shop for Universal Studios and film props. Get a massive doughnut at Lard Lad doughnuts. Call the Ministry of Magic at the red phone booth in front of Kings Cross Station. 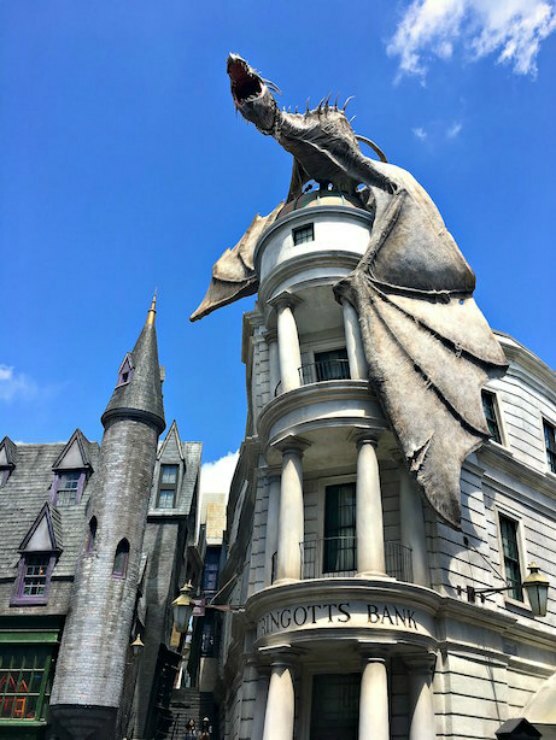 Talk to the Goblin at the Gringotts Money Exchange and exchange your US dollars for Gringotts money to use in Diagon Alley and selected outlets in the park. 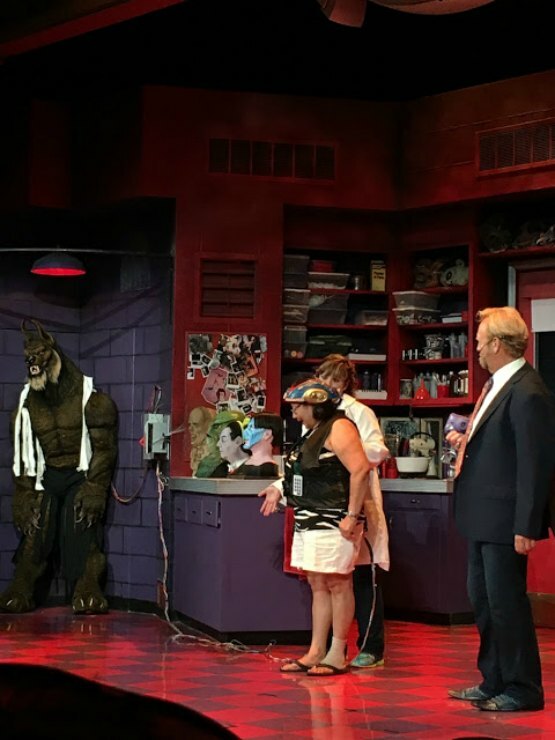 Visit in September or October for Halloween Horror Nights at Universal. Horror themed houses and scare zones make HHN not to be missed. 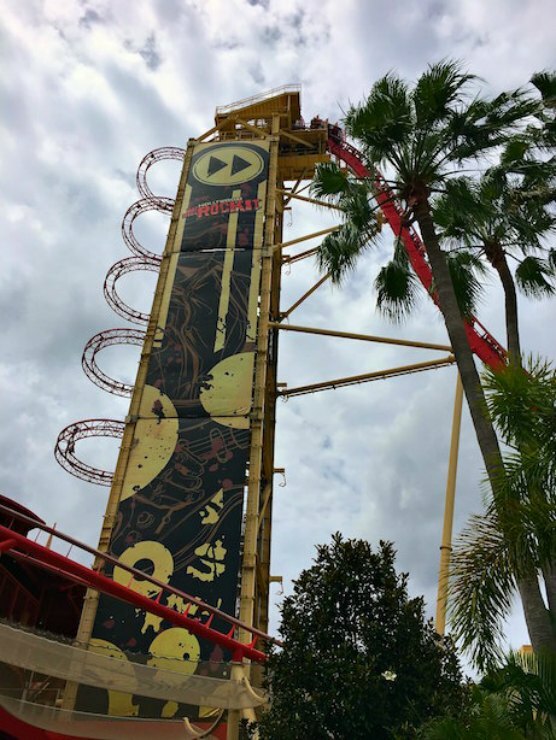 If you want to read more about Orlando check out my Orlando Money Saving Tips and my top 5 attractions on International Drive on the travel blog I write with my husband Fly Drive Explore. Did you also know that Universal Studios has a theme park in LA too? 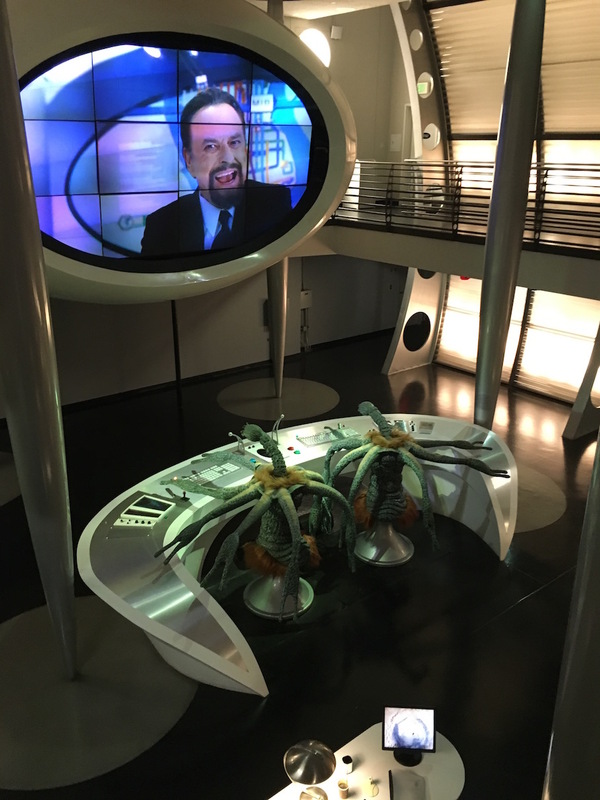 Check out what Rachel got up to in Universal Studios Hollywood here. 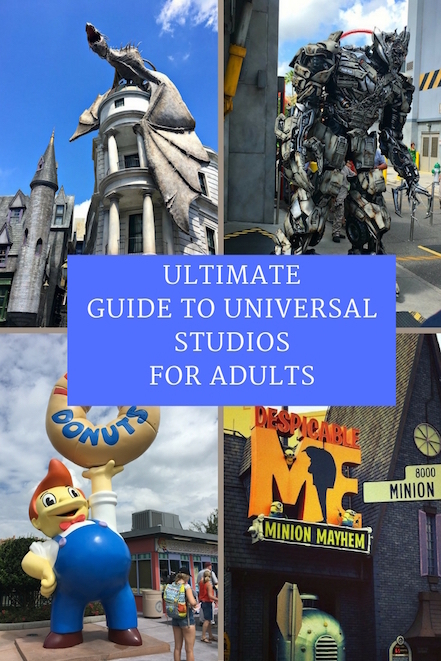 For tips for first timers to Universal Studios, Karen's post is very informative too. The Men in Black ride looks like the best thing ever! Great shout on the express passes, too. They are a must! It is a cool experience! Mr W always seems to win though lol. I'm such a potter fan that I ;d love to visit universal! Hope you get the chance to go one day! I've never been to Orlando before! I really want to! But reading this post has made me want to go even more! I would definately go to the Harry Potter bits and Simpsons ride! And definately get a doughnut from Lard Lad! How could you not go there if your a Simpsons fan?! The whole park is great. If you are a Harry Potter fan it's a must do and the Simpsons ride is a huge favourite of mine. I really want to go back over to Orlando, I would most definitely make sure I popped in to the Harry Potter place that looks amazing. As a huge Harry Potter fan, I would love to visit Universal for a true experience in the wizarding world. This was a great review! 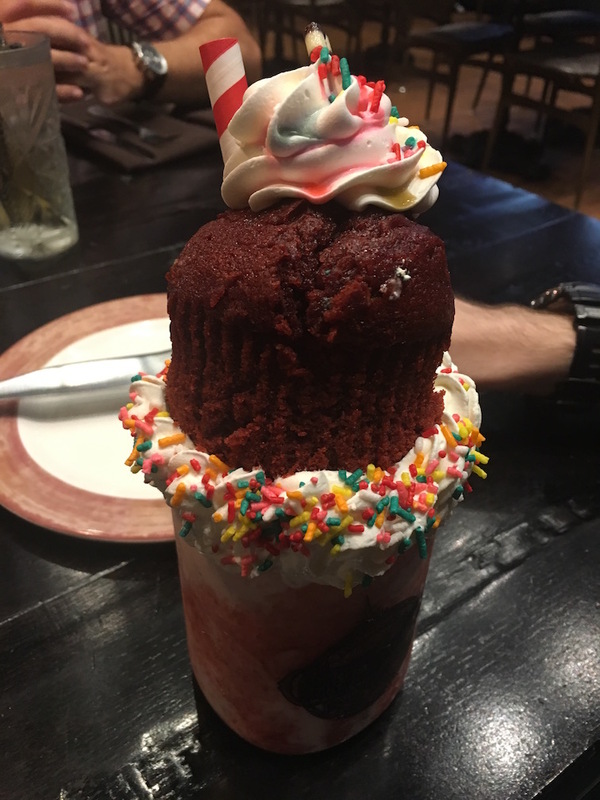 I went to Universal Studios when I was about 11... I remember a Jurassic Park ride/tour that was awesome! Really wanna go again someday! It is a brilliant park and there is so much to do in Orlando. What an amazing place, my folks are sorry to say they haven't visited Universal Studios Orlando yet, but its on their bucket list! I have never been to Universal Studio but my goodness I cannot wait to go one day! It's a perfect destination for you then Floral! I haven't been to Orlando in years and it has changed so much! I'd love to go back for Harry Potter World. 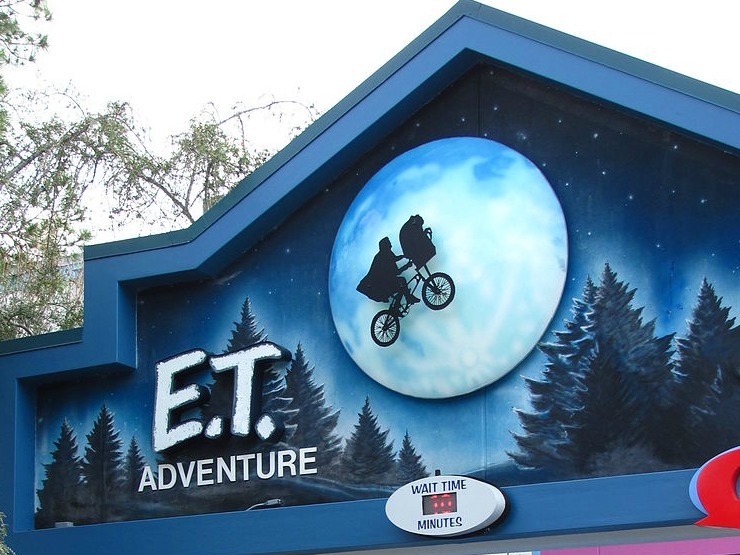 E.T and Men in Black were two of our fave rides!! It has changed but some rides are still the same. It looks like you can spend the entire day at the Universal Studios without getting bored. I would love to visit one day. Probably the Harry Potter section would be my favorite one. Rachel, do it! It's not that expensive, I think we paid £160 a night and you get into the Universal parks an hour earlier. No fast passes included though. What makes the mummy ride claustrophobic? I am okay with some small spaces but not super small spaces... Do you think I could survive it? You may be ok then. I find it a bit claustrophobic as it's an indoor ride in the dark, and it is quite hot (they have flames at one point). I love Universal Studios so, so much! It's been a while since I've been there now and I must go back. This is a great post. Thank you, we just adore the place! 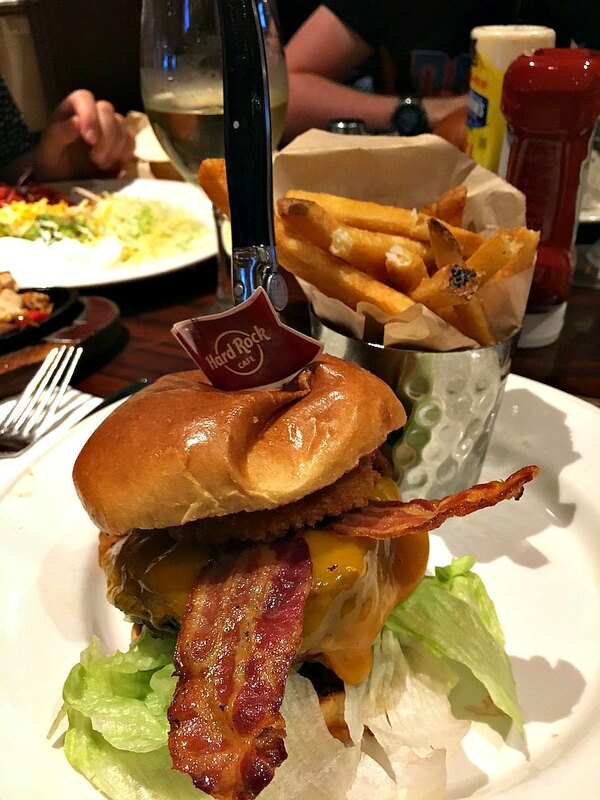 Hard Rock cafe just does the best burgers! Diagon Alley and the whole Wizarding World of Harry Potter is amazing.